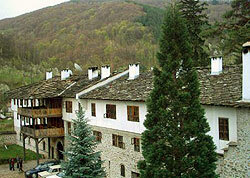 Novi Iskar is a suburban area at the foot of the Balkan Mountains, in the Sofia Valley. The villages of Aleksandar Voykov, Gnilyane, and Kurilo were merged together to form the municipality. One of the landmarks in Novi Iskar is the beautiful Sveta Troitsa Church (the name means “Holy Trinity”) and Kurilo Monastery, dedicated to St Ivan of Rila. The word “novi” means “gate”, so the name is appropriate, as Novi Iskar can be seen as the gateway to the vast Iskar Gorge just up north. The gorge was carved out of the mountain by the Iskar River, which flows through it.